Join us for 1 week, 2 weeks, or the month of April! “This has been an “out of this world,” mind blowing, life enhancing, old habit breaking experience that I would recommend to anyone desiring, weight loss, physical atonement, mental clarity, and peace of mind. Jump in with both feet, your passion and purpose are waiting!” ~ B.Q. *Join a community of like minded, on purpose individuals and Make New Friends! Make a deposit for the Platinum Pass, or Platinum Pass + Khichdi Cleanse before March 14th 2019 to receive the discounts offered. See agreements at the bottom of the page. Please contact Audri at jacquesaudri@gmail.com or 309-256-4238 for more questions about Payment Plans. I had a transformational experience with the Spring Cleanse Team. The main reason I was able to complete it was because I was on a team. I had a partner that I talked with every day and I had Michael and the rest of team on the conference calls. At the beginning I had no idea how deep I would go! As the days went by, I realized I could not only live on whole foods, but thrive. Amazing! 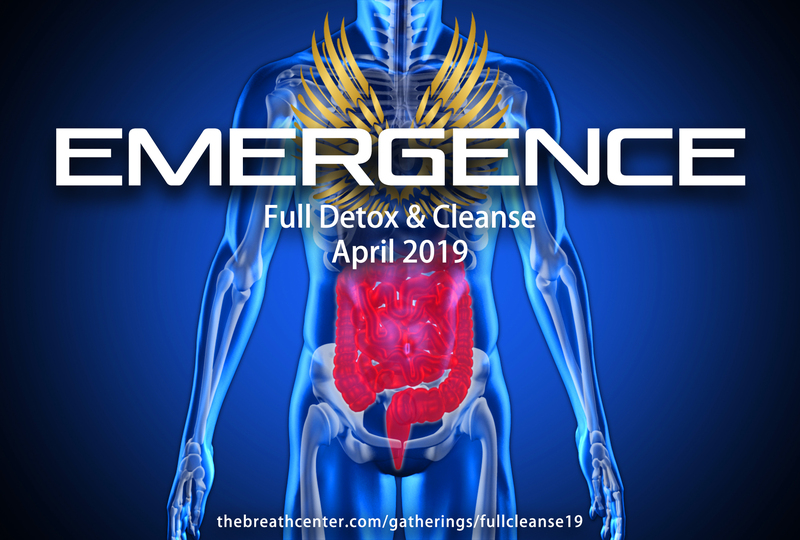 Anyone who has a desire to maximise their health, connect with spirit and learn more about themselves than they could ever imagine, this cleanse is for you. I couldn’t be happier that I committed to this journey and more proud that I completed it. ~ W.B. After this cleanse, I feel stronger, healthier, more energetic and clearer. It was interesting to see how my body and mind responded. At first I had an easy time with it, and then the detoxing began. This is when the salt baths, naps, the deep breathing, and group phone calls really helped. Once I came out of the tunnel, all was great. It was pretty amazing actually – the clouds in my head cleared, people commented that my skin was glowing, and I had more energy than I ever had before, waking up at 5:30 am after about 5 hours sleep and not feeling groggy at all. Now about 2 weeks after the cleanse I’ve adopted pretty much vegan eating habits and avoid processed foods. I feel great, still have loads of energy and seem to have more time in the day. I’m very thankful for the cleanse. ~ M.B. The most profound thing I did this year was participate in a cleanse with Michael Brian Baker. It took me to the most revealing places within myself that I could imagine and allowed me to let go of health issues, and longtime mental blocks, which had stunted my evolution for years. Not only do I look and feel better than ever before (always receiving compliments “where did you have the Botox done,” “I’ve never seen you look so good,” etc.) but the mental clarity and peace of mind is tremendous. This has been an “out of this world,” mind blowing, life enhancing, old habit breaking experience that I would recommend to anyone desiring, weight loss, physical atonement, mental clarity, and peace of mind. Jump in with both feet, your passion and purpose are waiting! ~ B.Q. Michael Brian Baker is a renowned, certified breathwork facilitator who has facilitated over 8,000 participants annually throughout his 12 years’ experience both nationally and internationally. He is the only known practitioner who integrates Quero shamanism with Yogic Pranamaya integrated within his therapeutic approaches, and has worked extensively within the recovery community, Bhakti Yoga Lineage, & Bastyr Naturopathic University System. Michael is a student of compassion and humility and the founding member of The Breath Center, traveling to facilitate groups and individuals in the realization of self-mastery through somatic release, breathwork, and natural plant-based detox. Michael’s extensive experience as a keynote speaker representing the conscious and healing arts communities has built his well deserved reputation for restoring profound hope and intimacy in large group settings. He supports people in their own growth, freedom, and discovery of the bodies innate intelligence to heal from within. Our service is not an alternative to Western Medical Diagnosis or Treatment Plans. Please check with a medical professional prior to beginning any cleanse protocol. We reserve the right to disqualify those who may threaten their own health and or the health of others. All cleanse content and curriculum are intellectual property owned by The Breath Center and must not be copied, sold or taught without express approval of The Breath Center Principals or Managing Partners. All Foods, Supplements, Literature and Hydration/Detox Gear Must be Purchased and Provided by Participants. This is a training forum only and has been constructed so that participants may attend once and be able to repeat the process quarterly or as their physical and mental well-being requires. Attention: This program requires absolute commitment to individual health and wellbeing. There will be no refunds of deposits or registration fees for any reason. Please take your time prior to registering as our program requires partnership and team building attitude and effort. Thank you in advance for your consideration.